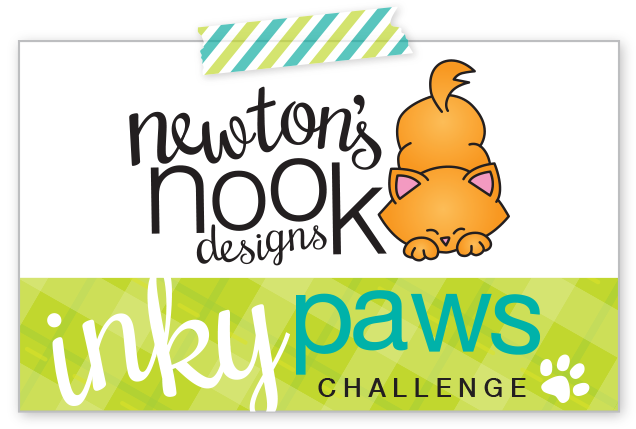 Hi everyone, it's day 4, the final day of Newton's Nook Designs April release. Tomorrow, all these goodies you've seen on the Design Team's blogs will be in the Newton's Nook Designs online store! I have thoroughly enjoyed this week and all the inspiration! I hope you have too! Last but not least, we have this super adorable stamp and die set "Newton's Birdbath". How fun is this with Newton hanging off the side of this bath with his birdie friends coming in for a drink? 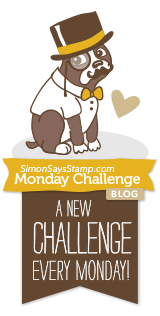 I kept this card pretty simple, I had a strip of the paper I used on yesterday's card sitting there and thought..wow, that looks cute behind Newton too! I Copic colored the image and cut it out with the coordinating die. Lastly I popped Newton up with foam tape and stamped the fun sentiment up in the corner! 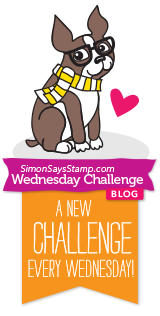 Thanks for joining me today, scroll down to learn how to win this super cute stamp set! Super fun cute and absolutely adorable! Love your coloring! Love how you used that paper again - he does look adorable with it! Great card! This is such a pretty card with all the lovely colors that pop against the B&W dp. I love this cute new set (being a birdie lover & all). Super cute as to how you colored in Newton! Lovely card and that black and white XO paper sets it off nicely! What a sweet card, just love it. I love how cheery this cute card is! I love the pop of the black & white paper with your design! This stamp set is so dang cute! Just too cute! Love the stamp set! Great layout and beautiful job coloring Newton! Love the XO paper in the background. Fits in with the stamps so well. Super cute, and I just love the bird bath! I love the cute little "freckles" you made on this kitty! I also like the papers you chose and your clean style! Love your card. The color just pops off the black and white. Thanks for the inspiration! Beautiful card!! I love the patterned paper. I love your coloring, perfect card!! So cute! Love the XOXO paper! Such a cute card! Love the way you colored Newton! Your design is as cute as can be!!! I love the xo layer and the silver to compliment this adorable kitty! I love your coloring! Gorgeous! Cute. I like your coloring and the sparkly strip. Very nice job coloring. I strive to get better with each card I attempt. The background is so great it doesn't distract from the fun image. I absolutely love this design! Little Newton is so adorable and I love the fresh spring colors too! Amazing!